Learn to identify chickadees by ear! 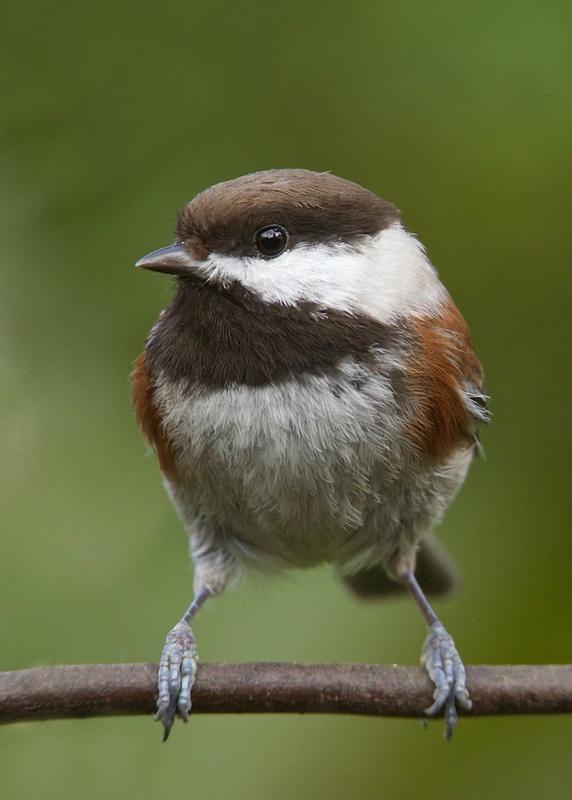 In the Pacific Northwest, you might see both Black-capped and Chestnut-backed Chickadees at your birdfeeder. The Chestnut-back (seen here) sounds different from the Black-capped Chickadee. The call of the Black-capped follows the familiar “Chick-a-dee, dee, dee” pattern. But the call of the Chestnut-back is higher pitched, faster, and has a buzzy quality. While we delight in their music, the birds are engaged in more serious business — they’re keeping their flock together. Listen to the calls of all 7 North American chickadees. This bird has a similar black head with a large white cheek-patch, but its back and sides are a rich chestnut brown. Its call is slightly different as well. 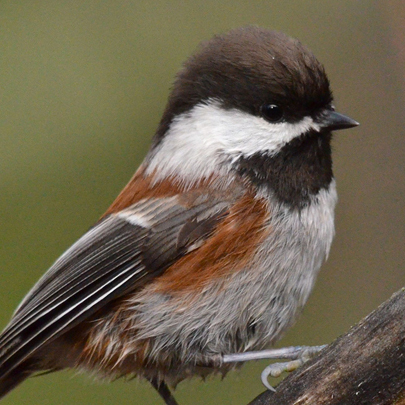 Hear the calls of all seven species of chickadees, at our website, BirdNote.org. I’m Mary McCann. Bird sounds provided by The Macaulay Library of Natural Sounds at the Cornell Lab of Ornithology, Ithaca, New York. 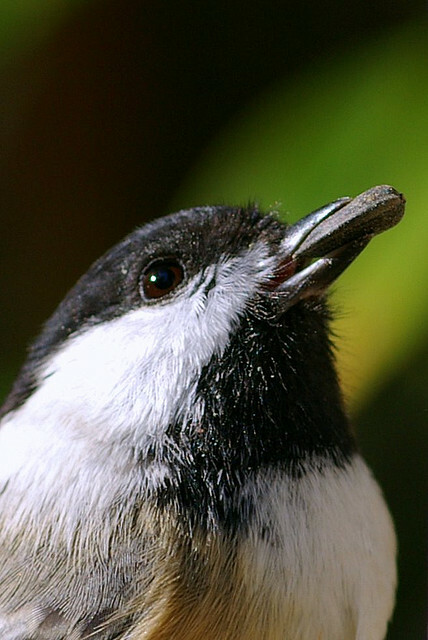 Ambient track of Black-capped Chickadee recorded by R.S. Little.